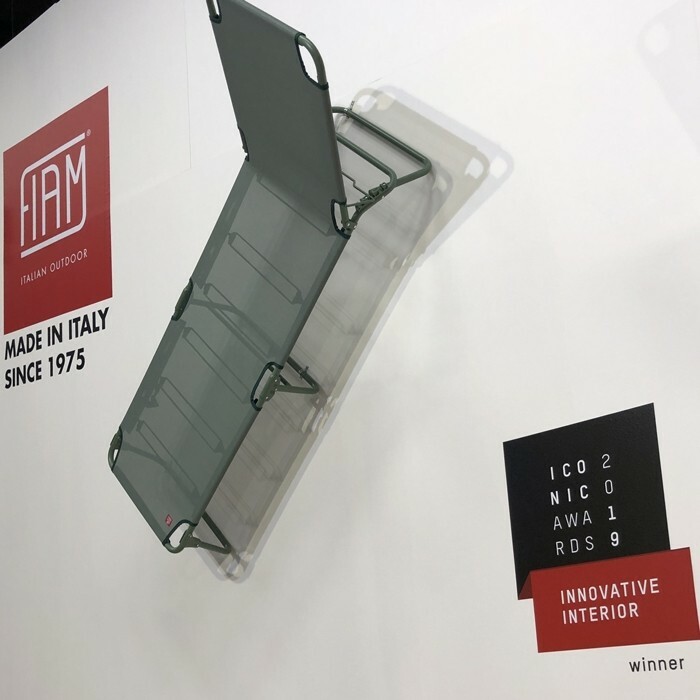 The German Design Council assigns the prestigious International “Iconic Awards 2019” to the sunbed AMIGO, one of the best sellers of the Italian company Fiam. The jury, composed of entrepreneurs, creatives and journalists from the world of design, honours the perfect combination of form and function of this true icon of Italian outdoor furniture. Amigo sunbed, together with the other award-winning projects, is on display at the Kölnischer Kunstverein from 14 to 20 January 2019. At the same time, Fiam is exhibiting at the IMM fair in Cologne, in hall 10.1 stand F022, presenting the latest collections and the award-winning Amigo sunbed. Designed in 1993 by Ennio and Francesco Favagrossa, founders of Fiam, Amigo is the sunbed that has been the precursor to a wide range of products in the field. In addition to the adjustable lying position (3+2 positions available), a Fiam patented elastic system at high resistance and durability has been developed. Being particularly practical, the Amigo sunbed is a successful product: with a few simple gestures it can be closed, reopened and carried thanks to comfortable handles. Today Amigo is available in a wide range of coating options, paints and sizes as well as enriched with accessories such as armrests, headrests and sunshades.